For the past twenty (20) years the attorneys at Crivelli & Barbati, L.L.C. have been practicing law in the State of New Jersey with a primary emphasis in Labor and Employment Law. Having both grown up in working class “blue collar” families, it was natural for Frank Crivelli and Donald Barbati to gravitate towards the plight of the working family struggling to earn a “livable” wage in the Garden State. After serving in the United States Marine Corps as a Judge Advocate, Frank Crivelli began representing New Jersey Public Safety Officers in administrative disciplinary hearings. Based on Mr. Crivelli’s success in representing these law enforcement officers, he soon received calls to perform services for various public and private labor negotiations units. Today, both Frank Crivelli and Donald Barbati serve as General Counsel for over twenty (20) Law Enforcement Bargaining Units at the State, County and Municipal levels of government. Additionally, Mr. Crivelli and Mr. Barbati are frequently called upon by various manufacturing unions to assist in contract negotiations with Fortune 500 companies. Mr. Crivelli and Mr. Barbati pride themselves on being shrewd negotiators that are not afraid to fight tenaciously for their clients at the bargaining table. They think innovatively when approaching a disputed labor issue and firmly believe that cases are not necessarily won or lost during the trial or hearing stage, but instead during the period of preparation. Conduct educational seminars to corporations, Union Executive Boards, the general membership, and the New Jersey State P.B.A. in various labor and employment related matters. Presently, Mr. Crivelli and Mr. Barbati are the only two attorneys on record to convince an interest arbitrator that New Jersey’s two percent (2%) salary cap was not applicable to a law enforcement collective negotiations unit (The State of New Jersey and F.O.P. Lodge #91, IA-2015-003). 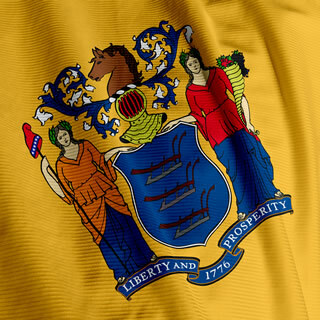 Additionally, they have other cases on appeal with the Superior Court of New Jersey, Appellate Division, that challenge the Public Employment Relations Commission’s interpretation of how the two percent (2%) salary cap is to be calculated and applied.